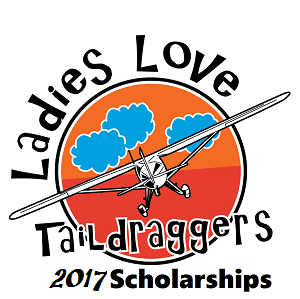 Lady pilots, it’s time to apply for our 2017 Ladies Love Taildraggers’ scholarships. I’m thrilled to report we have SIX Scholarships available! 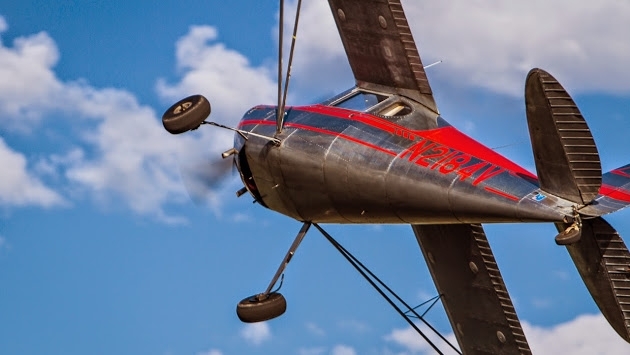 Are you a nosewheel pilot who would love to fly a taildragger? We have four awesome Tailwheel Endorsement Scholarships. 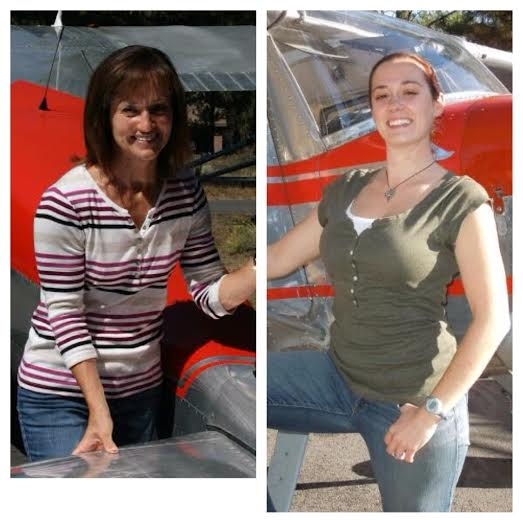 Are you a lady taildragger pilot who would like to sharpen your tailwheel skills? We have two fantastic scholarships with top-notch instructors who will help you hone your flying skills. Travel expenses are included in these scholarships! Apply for the ‘Stick & Rudder Master Class Scholarship’ or the ‘STOL Short Field Take Off & Landing Class Scholarship’. 2017 is going to be a great year for six deserving lady pilots. Why not YOU?!! Online applications are due by midnight February 28, 2017 and the winners will be announced no later than April 15, 2017. Winning applicants must complete flight instruction by September 30, 2017. Scholarship #1 Tailwheel Endorsement. Are you a female nose-wheel pilot who would love to earn your tailwheel endorsement? 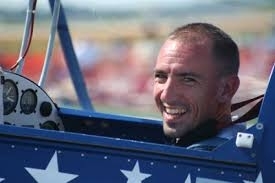 Here’s your chance to fly with Brian Lansburgh at Tailwheel Town, Sisters Airport, Oregon. Brian’s precision airmanship flight training methods have made him a leader in the world of tailwheel flying. Brian credits his success to flying skills honed during fourteen years as a comedy stunt pilot in the air show business. This scholarship includes travel expenses and is valued at $1,995. Scholarship #2 Tailwheel Endorsement. This Scholarship provides up to $1,000 in Tailwheel training from a CFI of the winner’s choice. Funds cover cost of aircraft rental, fuel and instruction. Travel expenses not included. Value $1,000. Scholarship #3 Stick & Rudder Master Class. 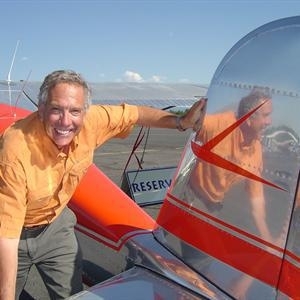 If you’re a LadiesLoveTaildraggers member or a female tailwheel pilot, this is your chance to hone your flying skills with the best-of-the-best, Brian Lansburgh at Sisters Airport in Oregon. Win this fun flying class and become the proficient pilot you know you can be. Also includes expenses to and from Oregon! Value $1,995. You MUST have a Tailwheel Endorsement to apply for this scholarship. Scholarship #4 STOL/Short Take Off & Landing Class. Instruction and aircraft provided by Charles Lewis at South Oaks Aerodrome, Winterville, NC. This STOL Workshop will teach you how to get in and out of some very short fields in eastern North Carolina. There are 60 plus challenging “strips” within an hour of South Oaks Aerodrome, 05N; some are nothing more than dirt paths on farms, hay fields or sod farms. Includes paid expenses to and from NC. Value up to $2,400. You MUST have a Tailwheel Endorsement to apply for this scholarship. Scholarship #5 Tailwheel Endorsement AND Unusual Attitude Training. Get the best of both worlds! Tailwheel Endorsement Training and Unusual Attitudes Training by Billy Werth of Billy Werth Airshows and Grayout Aerosports, LLC, an Indianapolis flight school that specializes in Aerobatic and Emergency Maneuver training. IndyJet Center has graciously donated the use of their Super Decathlon for this Scholarship’s tailwheel training. Travel expenses not included. Scholarship #6 The International Stinson Club Tailwheel Endorsement Scholarship. This scholarship is provided by the International Stinson Club and includes up to $1,000 in Tailwheel training from a CFI of the winner’s choice. The scholarship winner will also receive a 1-yr membership in the International Stinson Club.There is no requirement to train in a Stinson aircraft. The goal of the International Stinson Club is to help increase the number of tailwheel pilots and to promote the Stinson brand. Value up to $1,000. The following links direct you to the on-line applications. Please verify you have accessed the correct application before submitting. It is recommended you review the application in its entirety, gather any information required and set aside time to fill in all the blanks. If you operate a tailwheel flight school and would like to participate in our scholarship program please email LadyTaildraggers@gmail.com. Good luck ladies. Please check back as other scholarships may become available.